Wisdom, Compassion, Hospitality and Healing are continuing themes of the Stories of St Brigid. They speak to us, today’s women, even though she lived in the fifth century. Whether you relate to her as the archetype of a feminine leader or as a Christian saint, you’ll glean insights for your personal spiritual journey. Join Shirley Cunningham for an online workshop that will enrich your experience of Joy! This retreat style experience is skillfully and lovingly facilitated by Shirley Cunningham. Shirley’s varied teaching modalities and loving spirit will bless you in your continuing spiritual journey. 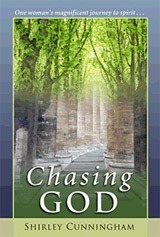 Once purchased you can access it again and again, for healing and inspiration. Shirley Cunningham, MA, MSW is an artist, writer and spiritual director offering retreats and workshops in many venues for over twenty years. Based on her visionary paintings of women saints, the Kissed by God, Holy Women Create workshop series and book will be available. Kissed by God: Holy Women Create! This online retreat is a place where holy women from the past spoke and encouraged us to see ourselves like them, as powerful creations loved by God. Anna Marie Freeman. I feel refreshed, filled with new knowledge, inspiration and ample creative resources for my continuing spiritual journey. Shirley’s varied teaching modalities and loving spirit blessed me. Heather Wiest.